d:fi destruct is a medium hold factor extremely flexible pliable paste that allows you to style the hair however you like. 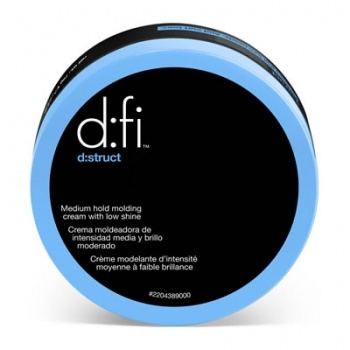 d:fi destruct has a high factor to hold the hair in place while you work your style. It contains cactus extract to help the hair keep moisture and health and lanolin, a natural emollient that helps the hair hold, while also conditioning.